Dead or decaying trees are eyesores that just can’t hang around in a carefully cared-for yard. A tree that looked perfect in your yard a few years ago has grown so big that it’s taking over the landscaping, or the roots are bound to threaten the integrity of nearby structures. There’s shade where you don’t want there to be shade, and the lack of sun is choking out other sun-loving plants. These are just a few reasons you might want a tree removed from your yard – and we know there are many, many more! But what are you supposed to do about it? Glad you asked! Call Wichita Tree! We will come out and evaluate the tree and work with you to plan the best method for removing that unwanted tree! Every tree isn’t perfect for every yard, so it’s understandable if you want even a healthy tree removed from your yard. Wichita Tree is dedicated to helping you achieve the perfect look and feel for your yard, patio or garden, which sometimes means removing trees and definitely the old stumps. It doesn’t matter if a tree has staked its claim to your house, if it’s leaning over into the neighbor’s yard, or if it’s in a hard to reach area of your yard. We can remove it no matter what! 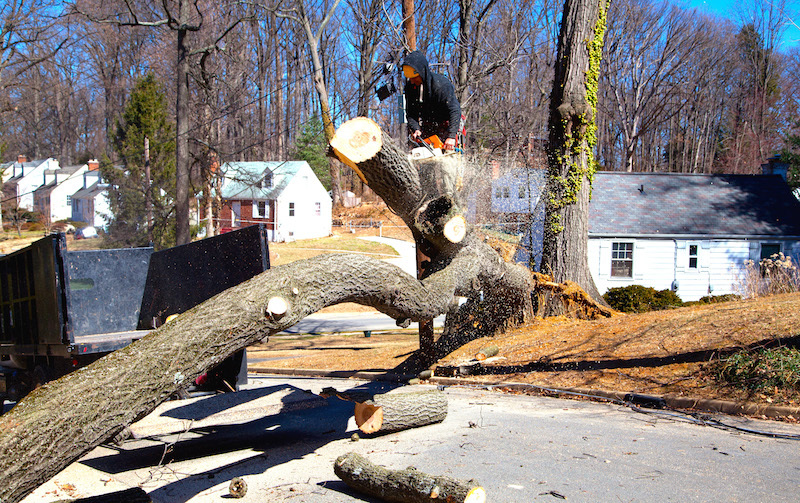 Wichita Tree provides free consultations and quotes for tree removal services, so why wait? Call today! tree service, give our partners at Fort Smith Tree Service a call!